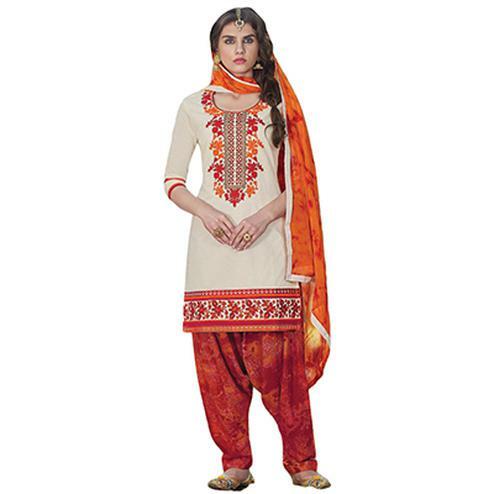 You will be sure to make a stylish fashion statement with this cream designer suit. This ethnic piece is beautifully embellished with traditional design embroidery on yoke, sleeves and hemline that gives an adorable look to the wearer. The outfit comprises georgette kameez, santoon bottom, santoon lining & chiffon dupatta. This outfit is best suited for parties, functions & occasions.